LIBERTY INDUSTRIES, a local brewery, has named Richard Commey, International Boxing Federation (IBF) champion, as its brand ambassador. 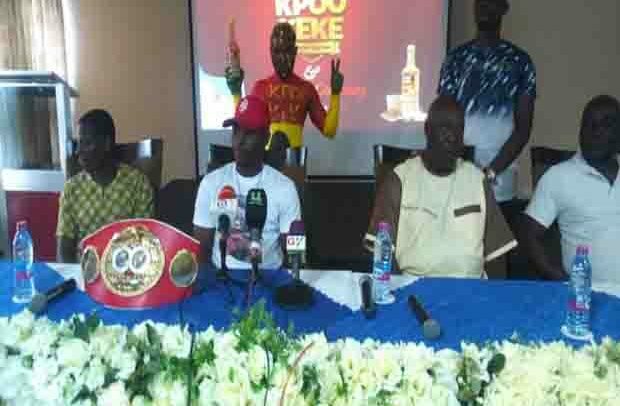 The company out-doored Commey at a short but colourful event at the Best Western Hotel, Nungua, witnessed by boxing fans and officials of the company. Present at the occasion were some chiefs from Nungua and Teshie and celebrated stars from the Ghana movie industry. A cash cheque for GH, boxes of Kpoo keke and branded T-shirts as well as a plaque of honour was presented to Commey. Chief Executive Officer of Liberty Industries, Nii Botswe Laryea II, hailed the boxer for defeating his Russian counterpart during his recent fight. Commey, on receipt of the package, unveiled the IBF title to the public and pledged to give his outmost best commitment to the company in terms of branding ambassadorial affair to help the industry grow and eventually become world largest local brewing industry. Liberty Industries is distributor of Kpoo keke, a locally manufactured beverage that has gained wider patronage in most parts of Ghana and in neighbouring countries in the sub-region.